You don’t need a startup company in Silicon Valley to be considered a good entrepreneur. Sometimes, knowing how to successfully leverage your skills is much more impressive. Such is the case of Ansølo: the crowd-bumping, stage-jumping, music producer alter ego of Ansel Elgort. The award-winning actor’s alternate moniker is more than just a case of dress up. 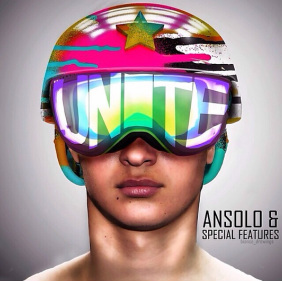 While Ansel is making the moviegoers cry with movies like The Fault In Our Stars, and making them feel rebellious with the Divergent franchise, Ansølo has the party crowd sweating and dancing with bangers like “Totem” and “Unite.” And although the 21-year-old native New Yorker is still better known as an actor, he has been able to give Ansølo a life of his own. The latter has his own throng of fans across social media, garnering over 500,000 followers on Instagram alone. What’s incredible about what Elgort is doing is, by creating Ansølo, he is reaching audiences he never would have otherwise. You can have a 12-year-old girl going gaga over Elgort while her 19-year-old brother is at Pacha partying it up with Ansølo, not realizing that their guilty pleasures are the same person. And while other young stars of the Millennial generation are spending their downtimes basking in luxury or creating controversies just for the hahas, Ansølo is working double time to conquer two different realms at once. At 21 years old, both Ansel and Ansølo are at the top of their respective games. They have life by the horns, and they’re not letting go.